If my informants speak the truth, this week’s Indie Round-Up coincides with some sort of large-scale sporting event. Something about two groups of guys trying to carry a ball in opposing directions across a big field. It’s going to be hard to compete for attention, but luckily for us, this week’s Round-Up is our loudest one yet, and can no doubt be heard over the din of cheering crowds and large men crashing into one another — Screaming games, guitar-controlled platformers and a new front for game development in L.A. are all making plenty of noise this week. Hit the jump for all of the details in this week’s Indie Round-Up. Australian developer Glen Forrester (aka Radix) has unveiled GNILLEY, a game that you play by screaming into a microphone. The experimental Zelda clone recognizes multiple kinds of vocal racket, from a steady “Aaaaahhhh” that opens doors and passageways to a full-on shriek that causes enemies to explode. It also kind of reminds of me of that ridiculous LaserScope peripheral for the NES, only a lot less lame. The video above shows a demonstration of the game at last week’s Global Game Jam in Sydney, Australia. Needless to say, it’s pretty entertaining to see these mechanics in action. GNILLEY (which is ‘YELLING’ backwards, in case you haven’t caught on) wound up snagging a ‘Most Original’ award at the Game Jam, and can be downloaded for free from GGJ’s website. But for goodness sake, have mercy on your neighbors (or invite them over to play). Swedish studio Pieces Interactive made their PlayStation Network debut last week with Fret Nice, a co-op platformer that can be controlled with Guitar Hero and Rock Band guitar controllers — a fun idea with varying degrees of effectiveness. You use the first and third fret buttons to move left and right, attack with the strum bar and lift the guitar’s neck to jump. That last part is going to prove difficult for those who have trouble activating Star Power in their favorite plastic band game (myself included), but luckily the game gives you the option to use a regular old PS3 remote instead if guitar-jumping isn’t your cup of tea. As long as you can get over the less-than-stellar controls, Fret Nice is a pretty interesting co-op game with a neat art style and really catchy tunes. You can download the demo or jam out to the whole thing for $14.99 on PSN, with an XBLA release on the way. 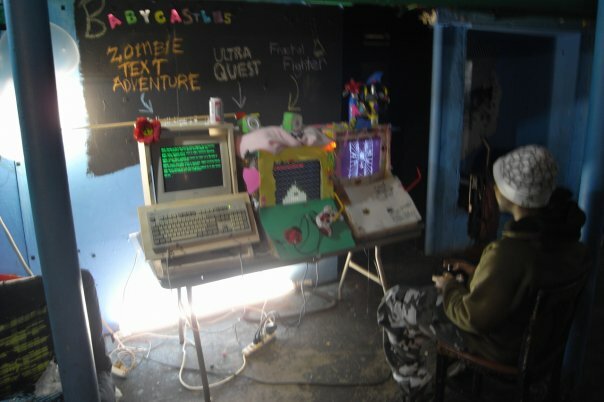 Speaking of jamming, the products of last week’s Global Game Jam will be coming to New York City this Tuesday through a special exhibition at the Babycastles indie arcade in Ridgewood, Queens. Many of the games that were exhibited at the simultaneous worldwide event will be on display and ready to play, including Deceptive Platformer, I’m On Your Team, Waffle and of course GNILLEY, all situated inside lovingly crafted (and extensively decorated) arcade cabinets. The evening begins at 8PM and it’s absolutely free, so if you live in the area, come down and check it out. Lastly, there’s a new collaborative space in Los Angeles — LA Game Space is a brand new spot for collaborative game development, offering lectures, advanced workshops, gallery exhibitions and opportunities for young people. Spearheaded by educational games company Playpower and backed by notable contributors Giant Robot, TIGSource and BoingBoing, LA Game Space hopes to connect people of all ages and help them explore the possibilities of gamemaking inside a state-of-the-art facility. You can follow the Space’s latest goings-on by subscribing to their Twitter feed or logging on to their Facebook page. That’s all for now. 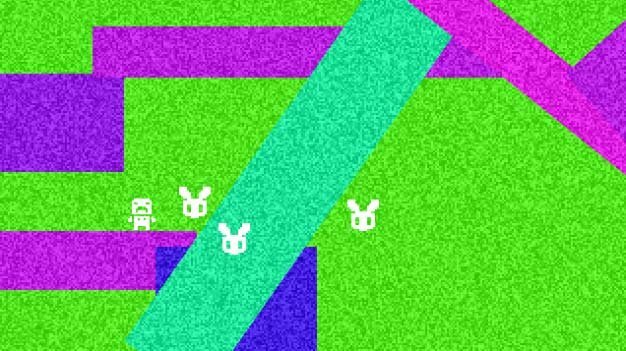 Next week: More featured games from Global Game Jam, a look at TIGSource’s Assemblee Competition and more news from around the global indie game development community.